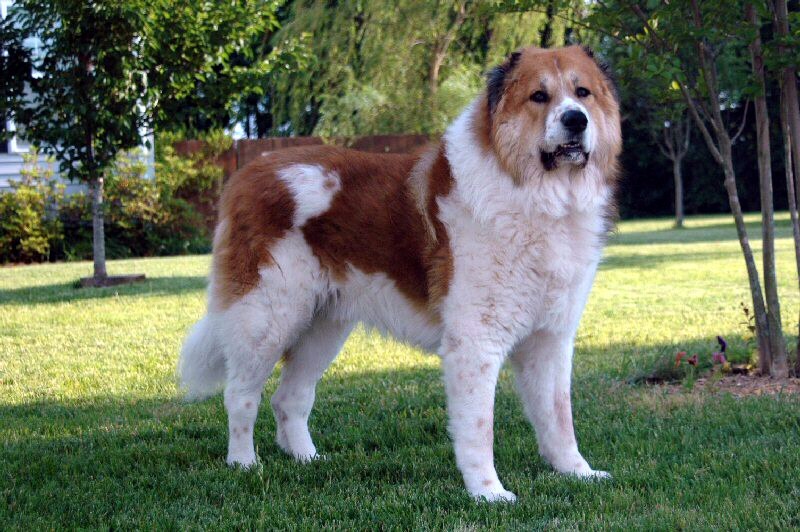 The Caucasian Ovcharka dog is a serious guardian breed and should never be taken lightly. The Caucasian is bold, fearless, self-confident and fierce when a threat is present, but he is soft, devoted, kind and endearing to his family, including other family pets. The Ovcharka is a guardian breed with a serious and protective temperament. Although he has an innate distrust of strangers, he’s gentle toward people he knows. The Ovcharka is incredibly loyal to his family — but fierce in their defense. However, when there’s nothing to guard against, he’s laidback and compliant, expressing a sweet attitude toward his loved ones. This intelligent dog has an independent nature, so you need to train him with patience, firmness, and consistency — never use harsh words or heavy-handed techniques. Properly trained Ovcharkas have earned obedience and Canine Good Citizen titles, and some are even therapy dogs.